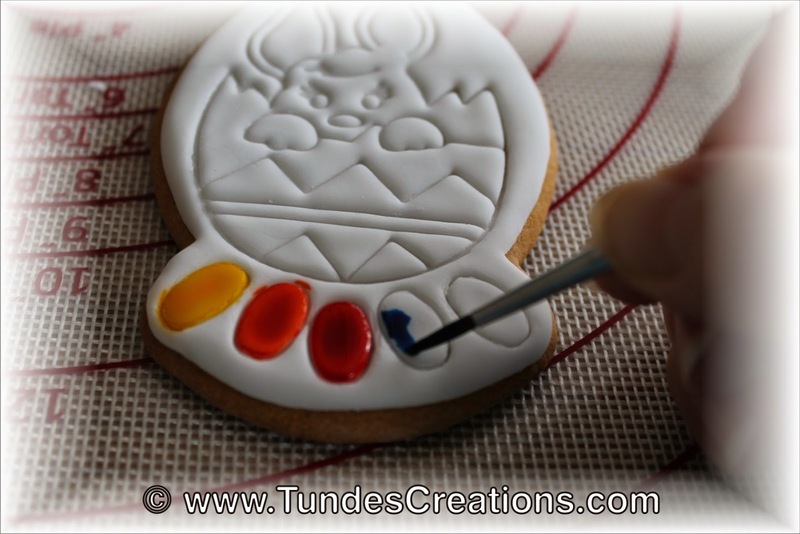 "Paint your own" cookies are really popular in cookie world. They first appeared in Montreal Confection's blog in fall 2013, then everybody started making them. I have two little girls who LOVE to paint and color. And I never made a paint your own cookie before. You know why? 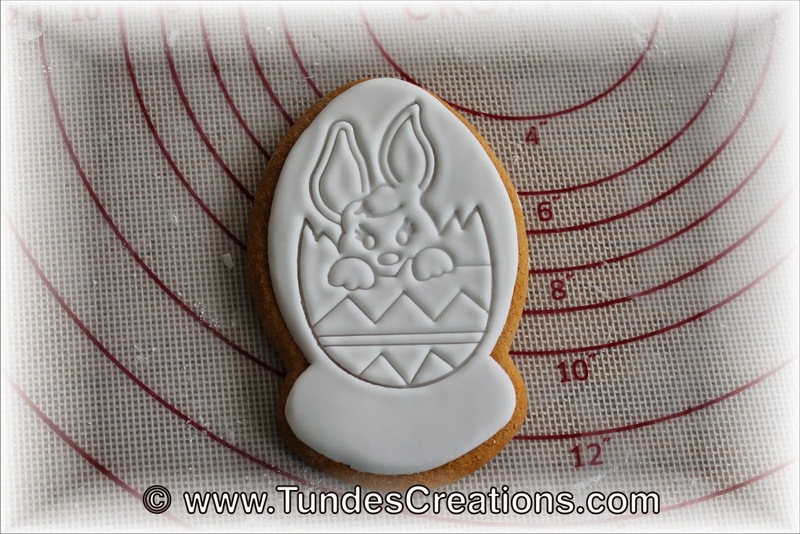 Because royal icing will melt if you use too much water and I was afraid the black outline would make other colors a mess. And one of my girls is a perfectionist and she could not deal with a disaster like this. 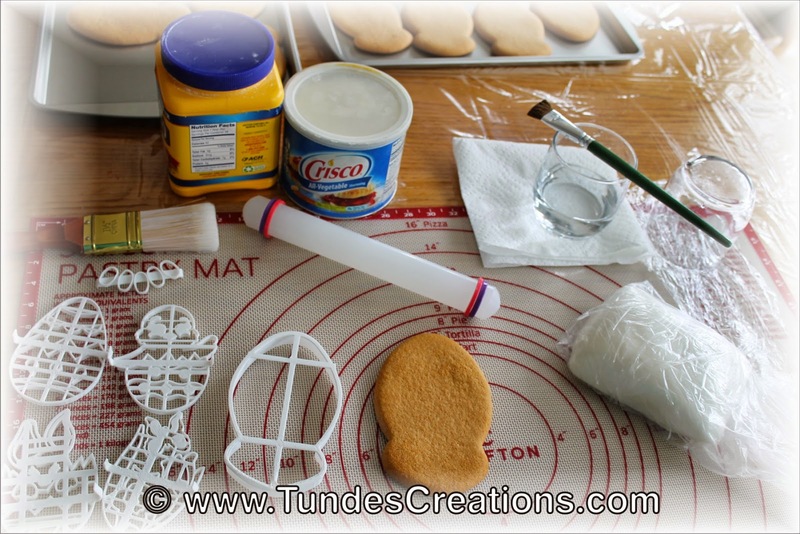 I was looking for a way to create a coloring cookie that can handle more water and decided to try fondant. I don't use fondant for cookies, because I don't like the flavor and the texture of it, but we can make exceptions for a good cause, right? Then I asked my friends at Cookie Cutter Kingdom to print me the set I designed for this experiment and they did a wonderful job. I work on a silicone pastry mat. I brush corn starch to the work surface so the fondant doesn't stick. Rub a little Crisco to my hand so the fondant doesn't stick to my hand. I use my home made fondant (you know me, I like to make everything from scratch, but you can buy some at the grocery store). Need a fondant rolling pin. 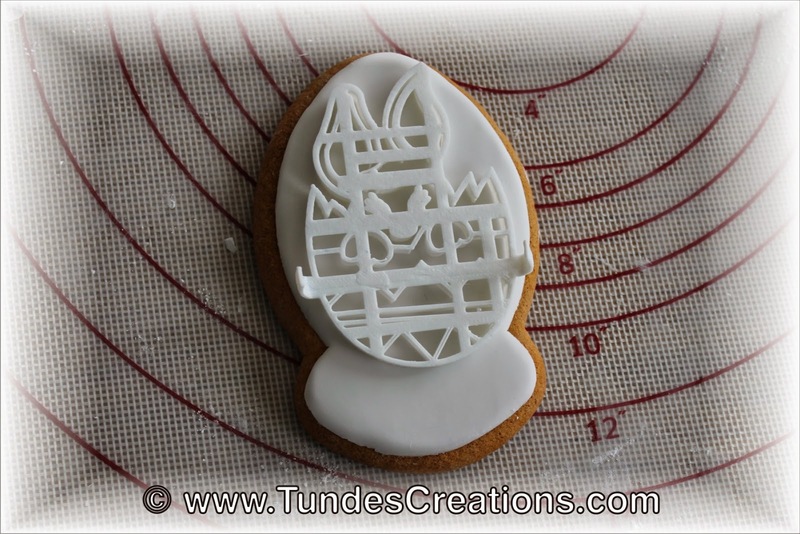 The cutter and stamps use coupon code FRIENDSOFTUNDE to get 10% OFF. 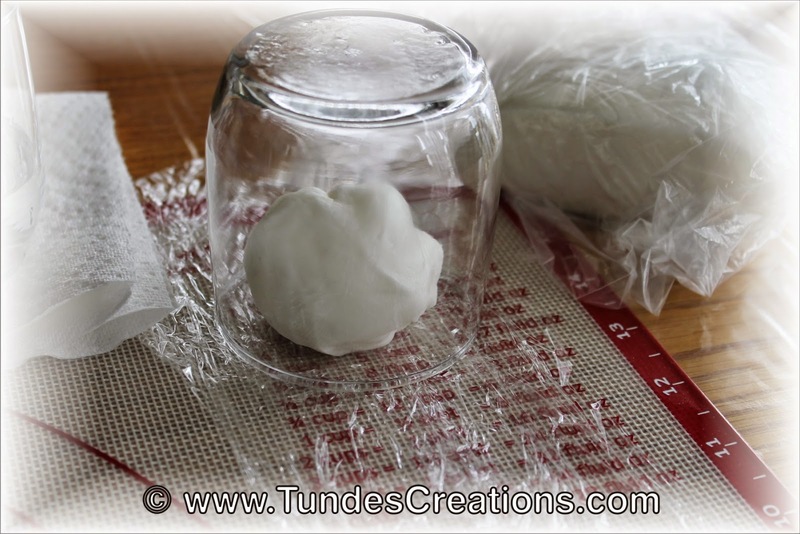 This is the way I store my fondant during work. This prevents it from drying out. I learned this trick from my friend Ibolyka Kiss during her sugar flower classes last summer. Brushed a little water on to make it sticky. And placed the cookie on top, upside down. 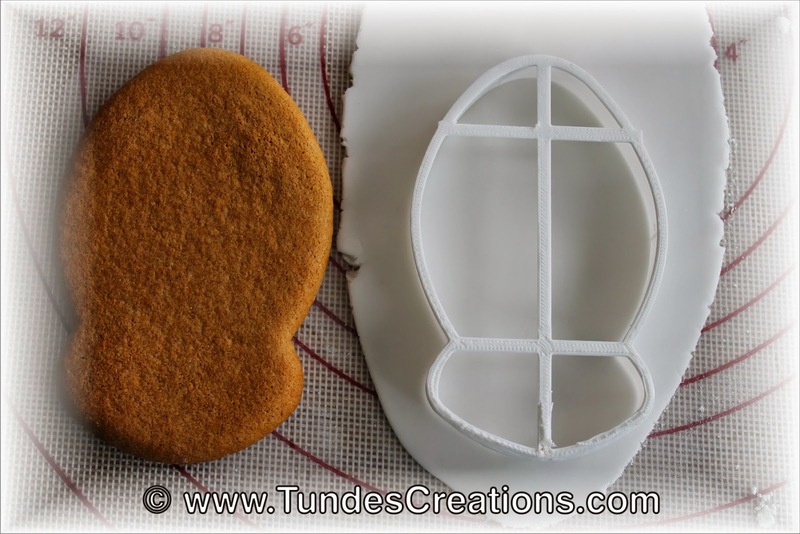 My favorite cookie recipe spreads, so my cookie is bigger, than the fondant. 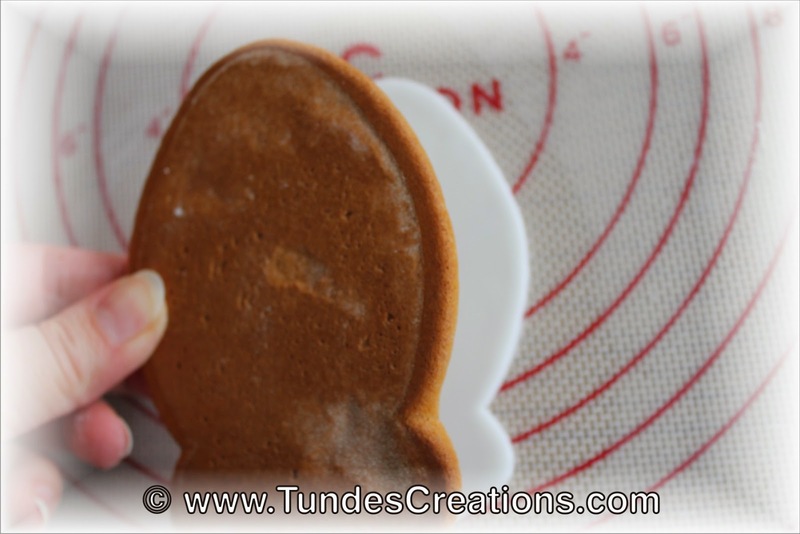 If you have a non-spread cookie recipe, then your fondant will cover the whole cookie, as you use the same cutter. 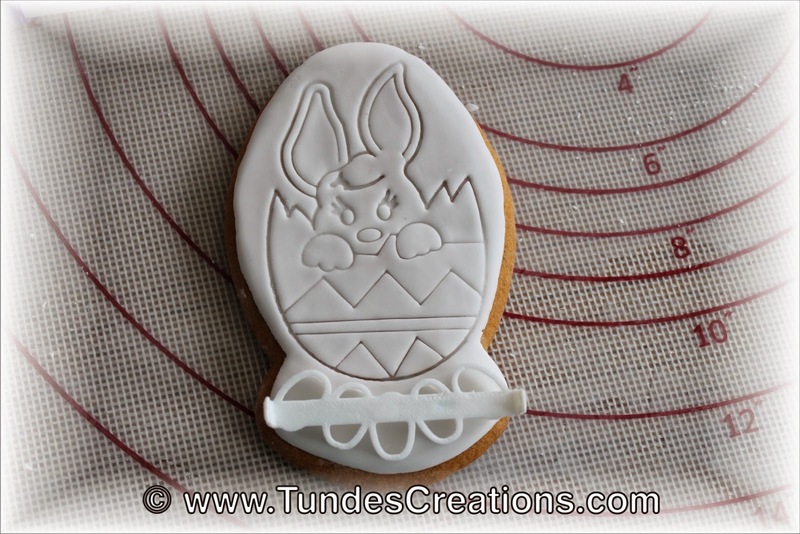 Bunny in the Easter egg stamped into the fondant with a 3D printed stamp. 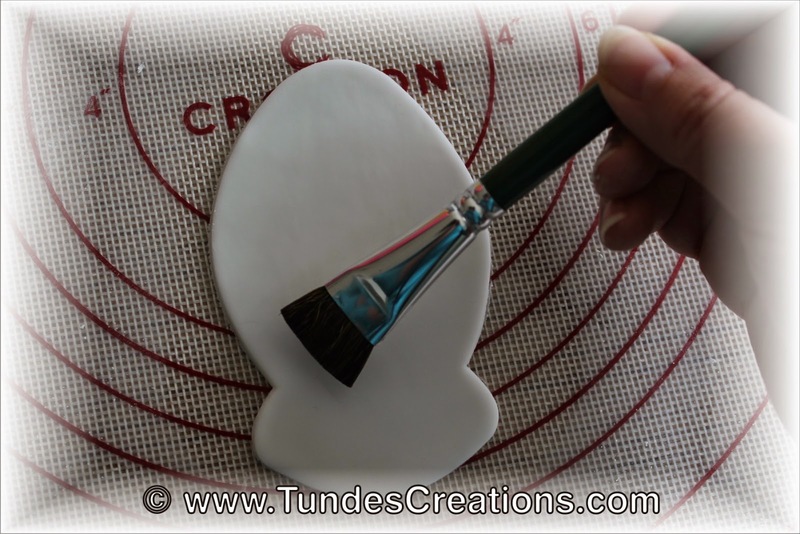 You can stamp on the palette too, or just paint it on without the outline. Next step is adding the colors. 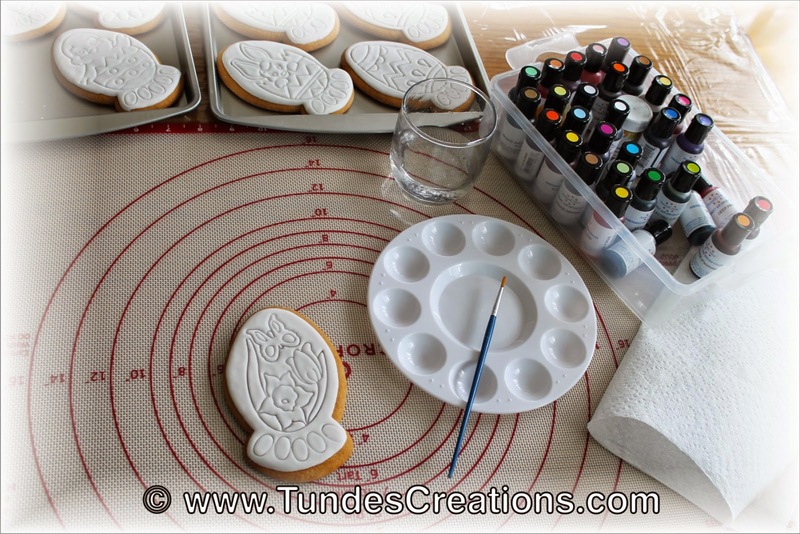 I use Americolor airbrush colors and about 2 drops was enough to paint the color on 12 cookies. I have to practice staying inside the lines... or ask my perfectionist girl to paint these for me. They are ready, my girls are excited! 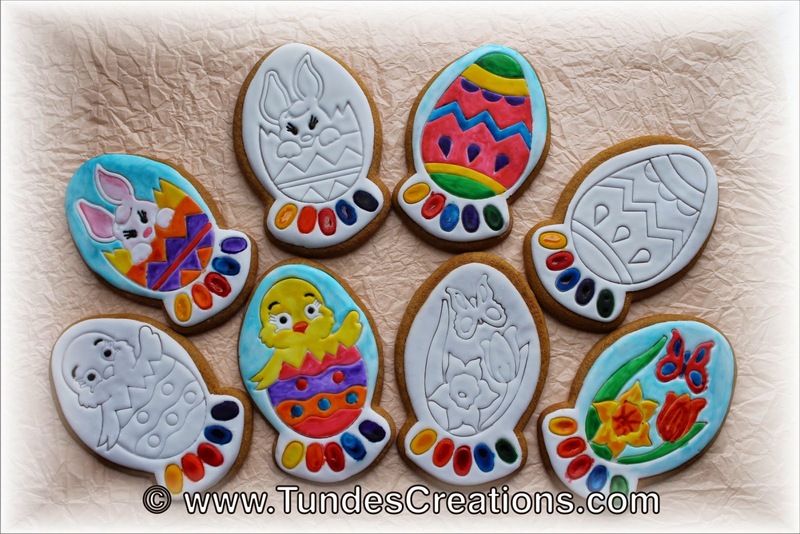 Here are the painted cookies with the cutter and stamp set. 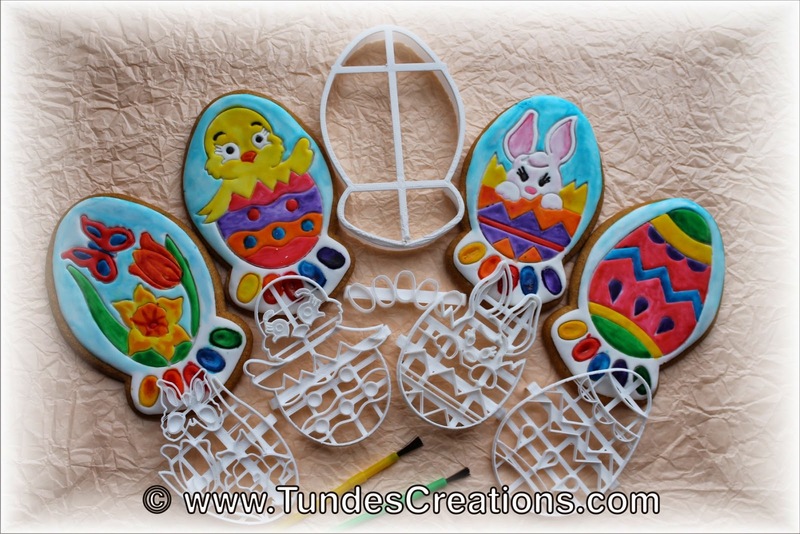 If you want to purchase these cutters use coupon code FRIENDSOFTUNDE to get 10% OFF. Have fun! why not credit the originator of the idea = Montreal Confections? Her use of an air brush for the colour palate is also much easier to make and use. 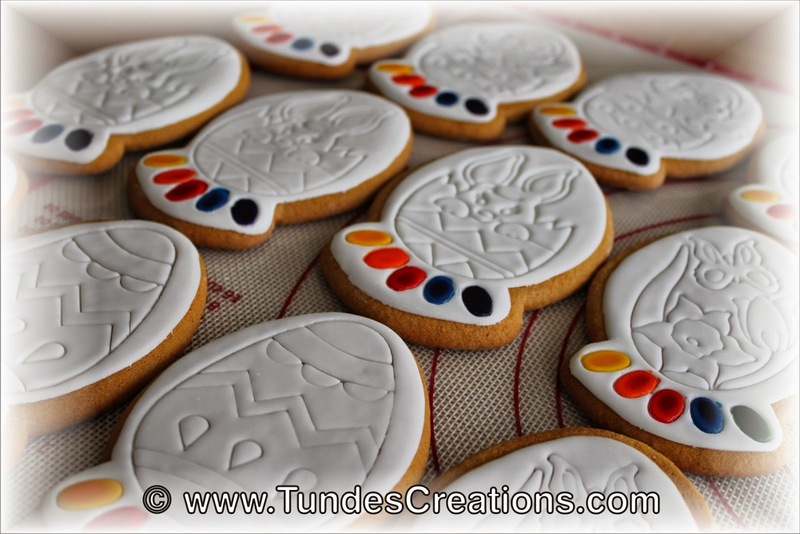 Dear Rachel, originally I did not credit anyone, as I had no idea who made the first paint your own cookie. I happily added the credit as soon as I got the information. Unfortunately it was brought to my attention in a really hurtful way. I think, one beautiful thing about cookies is to get inspired (by an other cookier or just by anything around us) and create something new. This is what I try to do. Maybe one day somebody will use this set as inspiration and make her own version, using an air brushed palette. If it happens I will be happy about it. So-o-o sorry to hear you were flamed by someone concerning credit for this idea. The cookie decorating world can get really nasty at times, and I find that very sad. Love your cutter and stamp set! Thank you for your kind words! It did hurt, but life goes on :) I hope you enjoy my site! What a great idea! Do I have to use the Americolor airbrush as opposed to their regular colors?